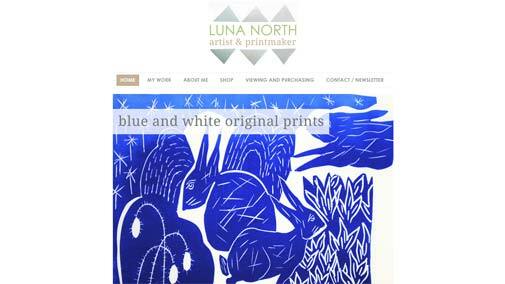 Luna North is an artist and printmaker living in rural Devon, England. Her limited edition prints, collages and paintings are inspired by nature, wild animals and hedgerow plants. She studied BA(Hons)Fine Art at Falmouth School of Art continuing in a long and renowned tradition of artist’s inspired by the spirit of the British landscape. The design of the website matches the business purpose excellently, by using a simple layout with illustrative content and images.